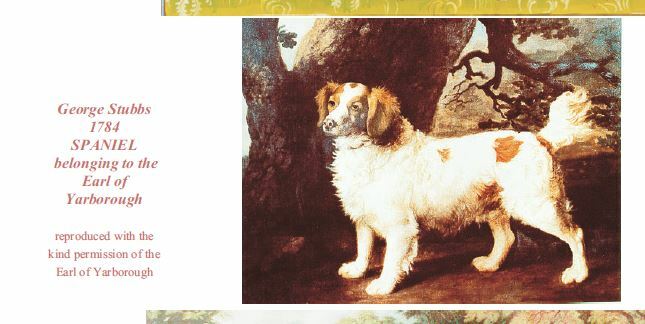 The topic is often raised, that the modern Clumber is the same or better then the originals, but without reference to illustrations; here are some of the very early illustrations of Clumbers for you to consider this statement. 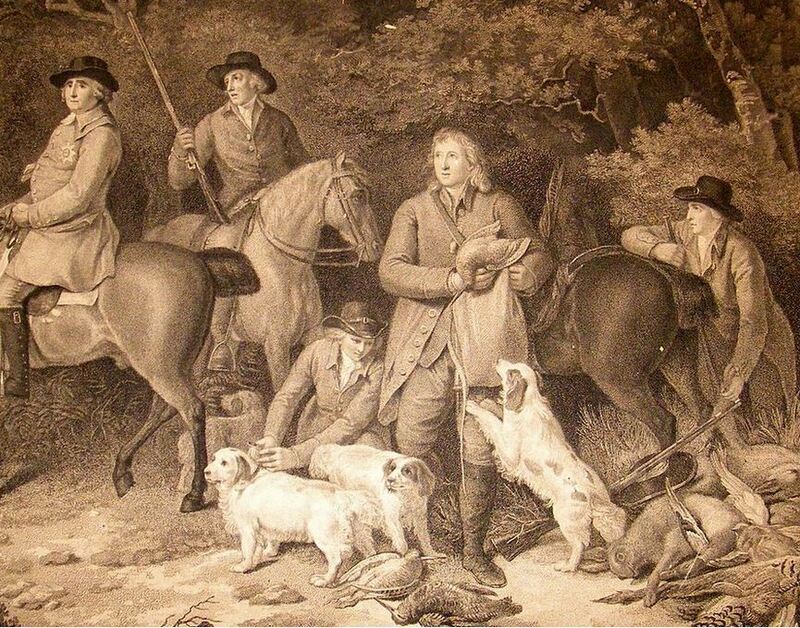 There are a lot more examples of very early Clumbers in my book The White Spaniel. 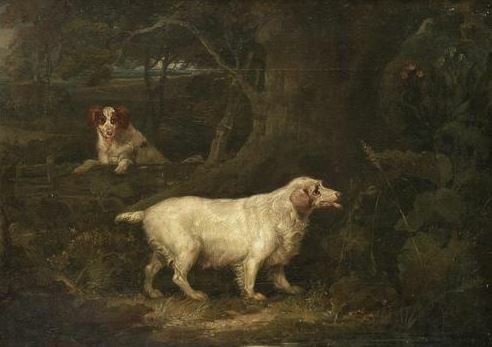 First is part of an ENGRAVING taken from the first known painting of the breed at Clumber Park, so there are two levels of interpretation here, the artist’s and the engravers, I am including it it because it is a good size reproduction. On day I may continue, but this article gives you some idea of what the original Clumbers were like, solid, with large for their size heads but not cuboid heads. 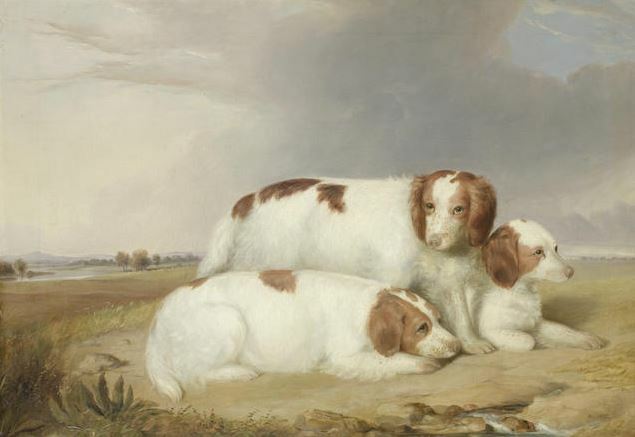 By the way, apart from the obvious choice of the Stubbs and Wheatley the others were chosen because of the dates not to push a point about head type. 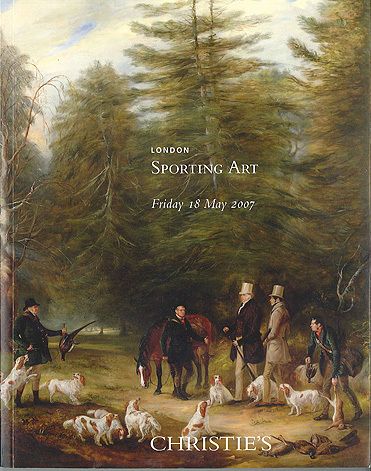 That said the Clumbers of Lord Middleton at Birdsall Park painted by Charles Hancock in 1834 (see The White Spaniel or Phillips and Cane’s The Sporting Spaniel) are much blockier in head.